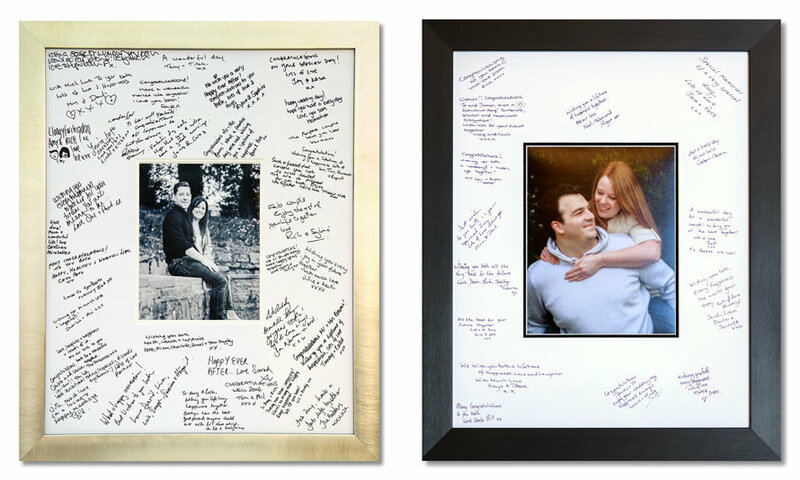 A GREAT ALTERNATIVE TO THE TRADITIONAL GUEST BOOK! Signing frames are now available in a variety of styles, sizes and colours and prices starts at just £45.00. If your wedding package includes a pre-wedding shoot, a photo from it makes the perfect centre piece for the signing frame. After your big day, if you choose, you can easily swop the photo for one of your favourites from your wedding day!